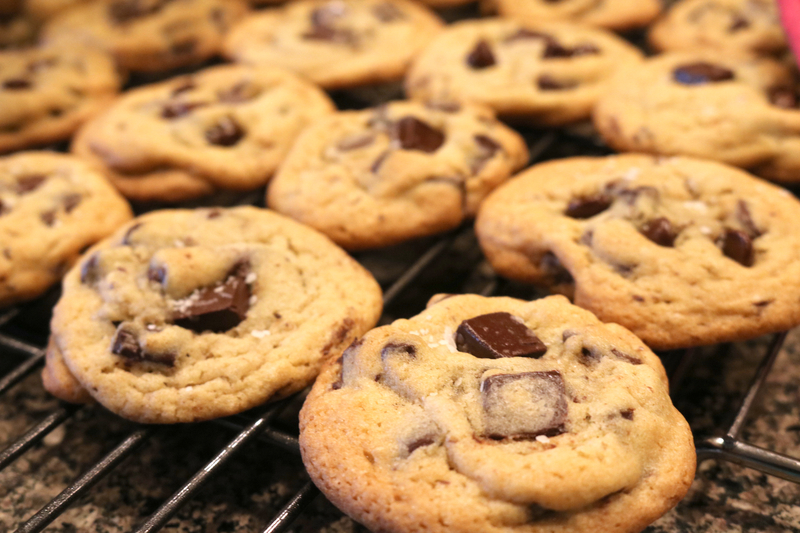 I am so in the mood for chocolate chip cookies…I mean like a whole big plate of them with ice cold milk. Even more I want these cookies…RIGHT NOW! 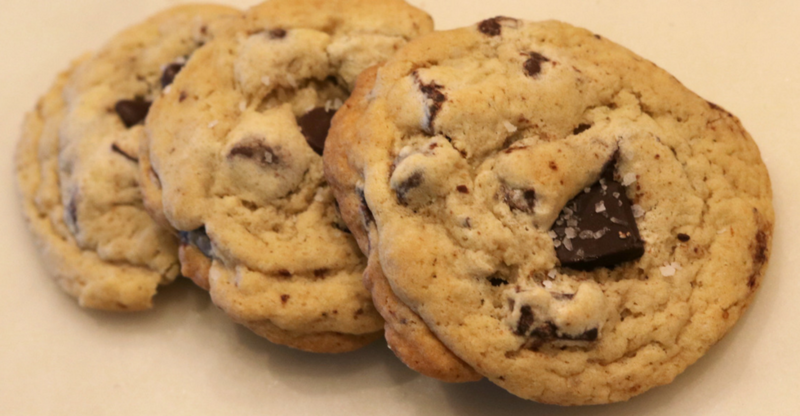 If you have searched for a chocolate chip cookie recipe on Pinterest lately I am sure you seen the New York Times recipe. 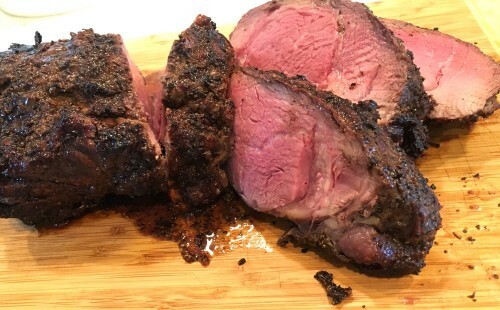 It is the recipe made with cake flour and bread flour and then you have to chill it for 24 hours. Well, I don’t know about you but chilling cookie dough for 24 hours is not something I am very good at. I have done it before and the cookies were really good (they are my sis-in-love’s most favorite) so when she asked me to make them for her birthday I said sure…and then I ran out of time. Literally I remembered she wanted them the day of her birthday, and just in case time is not your thing that is less than 24 hours, but I couldn’t let her down. It was time to improvise. And I am so glad I did…they turned out AMAZING (& Mary loved them and had no idea they were different). What makes these cookies so good is chilling the dough and letting it rest. Well being that I didn’t have too much time I decided to speed up the chilling process and placed it into the freezer. I left it in there for just over a hour. When I got it out the dough was chilled to perfection and made the most perfect mounds of cookie dough. I mean just look at them. 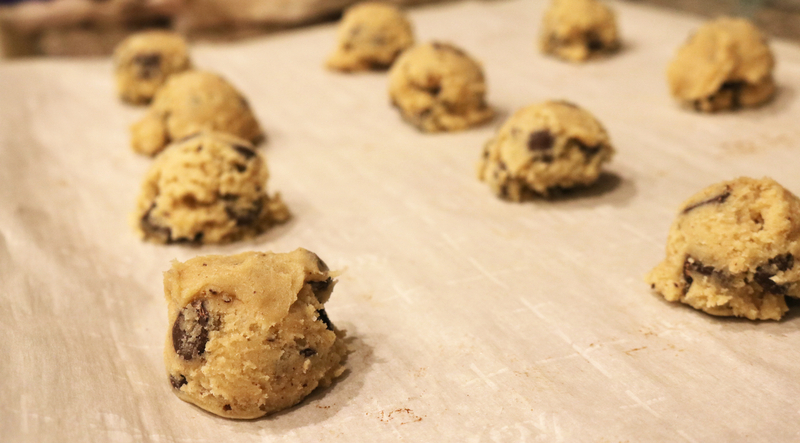 I could just eat them all up…yes I love raw cookie dough. As soon as the cookies come out of the oven I do things immediately. 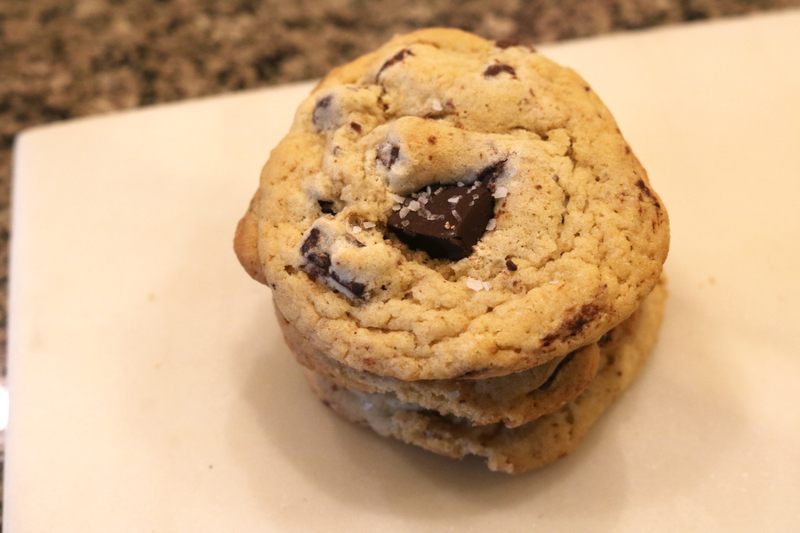 I press in a few extra chocolate chunks into the top of each cookie, it just makes them pretty. Secondly I sprinkle a little sea salt over the cookies. The little bit if salt adds so much flavor to the cookie. Don’t worry they won’t be salty, it actually intensifies the chocolate in each bite. 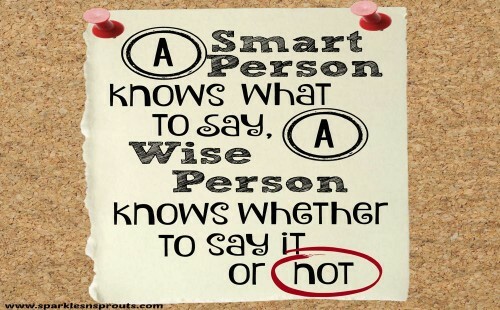 Just try it…trust me. The perfect chocolate chip cookie. 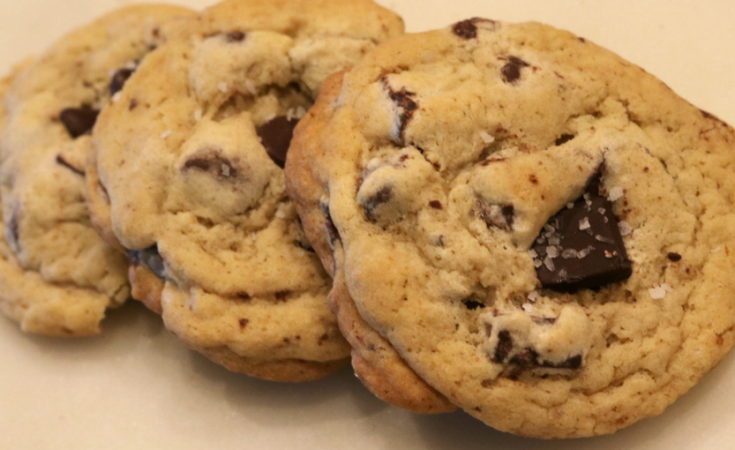 Each bite is loaded with chocolate chips, a buttery cookie with crisp edges and a soft center making these the BEST Chocolate Chip Cookies ever. Use whatever combo of chocolate chips you prefer. You can also add in nuts if you would like. Like I said above my sis-in-love had no idea that these were not her “original” favorite cookies. I was a little nervous that she might be able to tell a difference but she couldn’t. 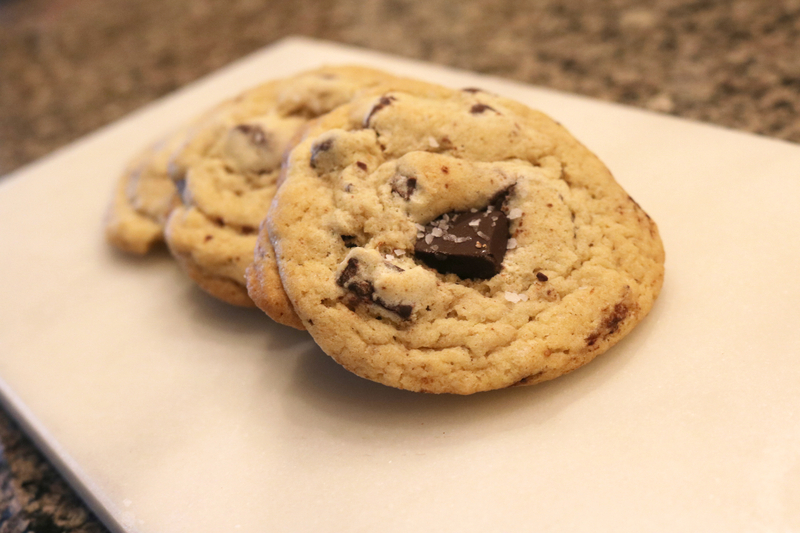 They really are The BEST Chocolate Chip Cookies…EVER! !